As we have told you here repeatedly, Wigan is going to be relegated. Today's 4-1 result (and counting) against Arsenal are making sure of that. 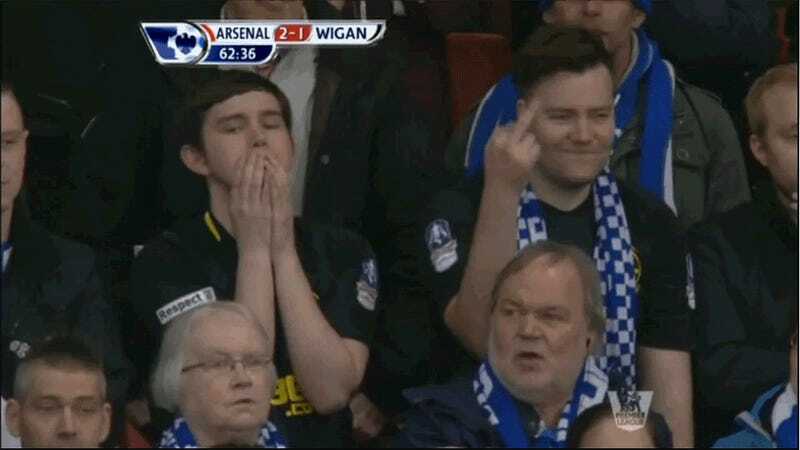 Their supporters, well, this guy will love it in the nPower Championship.